The office complex opened in late 2017 and to date has but a single tenant. Bank of Oklahoma occupies the top four office floors and also has a bank branch in the lobby facing Sheridan. 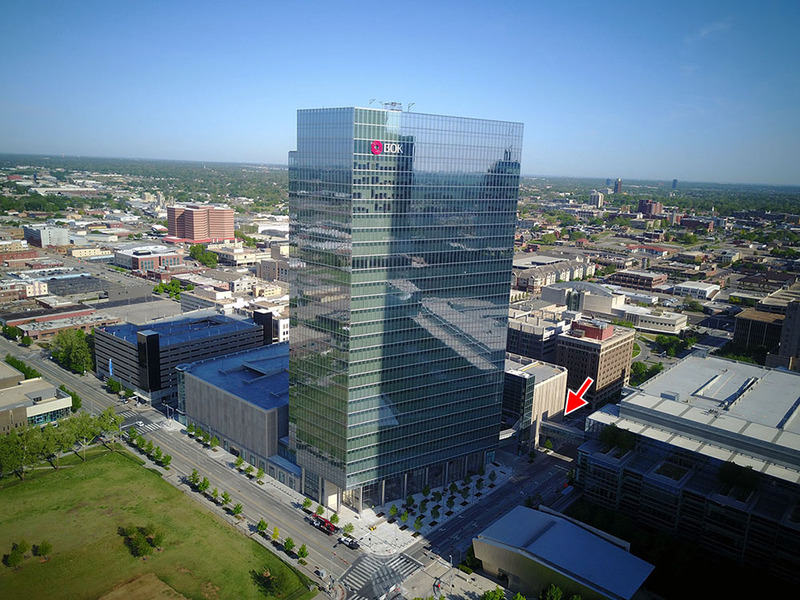 Enable Midstream has announced they will be moving its 480 employees from Leadership Square to BOK Park Plaza in August 2019, taking the 15th through 20th floors. When Enable completes its move, 10 of the building's 27 floors will be occupied. In addition to its signature private club and event space on the top two floors of BancFirst Tower (formerly Cotter Ranch Tower, Chase Tower and Liberty Tower), the Petroleum Club is the properitor of Petro Deli in that building's lobby and Hot Tamale Grill in the lower level. The group also operates Petroleum Club North in Edmond and the Petroleum Club Event Center north of the state capitol which was formerly known as the Jim Thorpe Event Center. 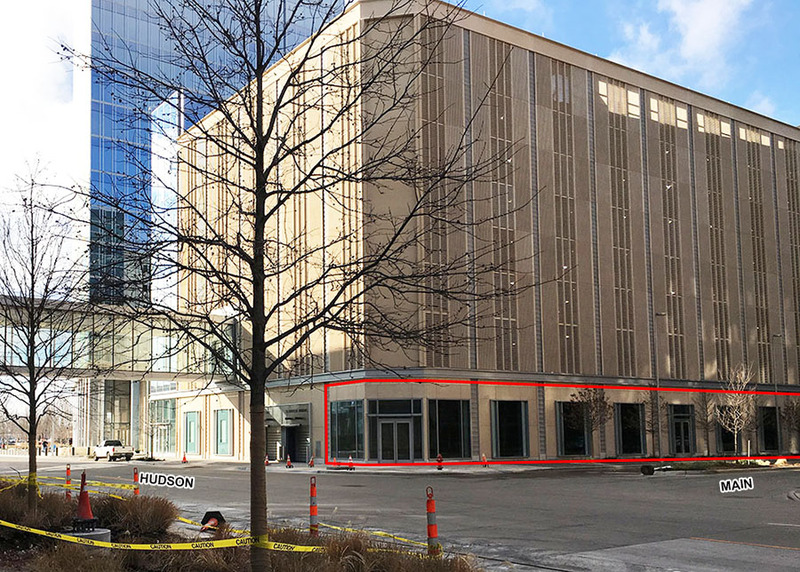 The new deli will be located in the ground floor of the BOK north garage, which has an entrance on the corner of Main and Hudson, and faces the city-owned Arts District Parking Garage. The BOK building and parking garage are connected to the Devon Energy Center via a skywalk over Hudson. Plans show a large bar, 2 corner booths and seating looking out on Main Street. 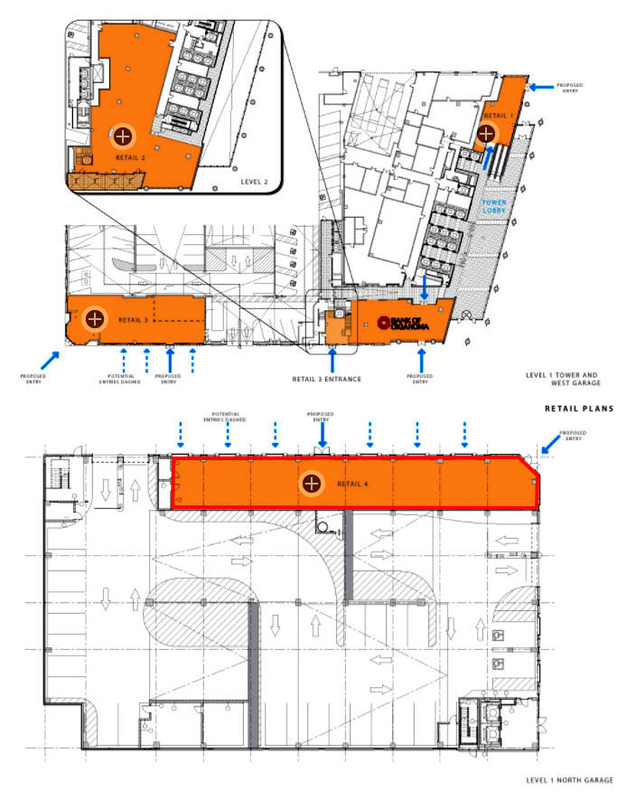 In design plans submitted to the city for a substantial remodel of what is now BancFirst Plaza, it was stated the existing Petro Deli would be relocated from the west lobby to the northeast corner. Renderings show indoor and outdoor seating for the restaurant in that location. BOK Park Plaza still has a large restaurant space with an outdoor terrace on the 2nd level of the lobby, plus additional retail space in the northeast lobby as well as in the west garage, with storefronts facing Sheridan.